Calcium is the most abundant mineral in our body and it plays several critical roles — yet only 32% of adults in the US are getting enough through their diet! It’s not just osteoporosis you have to worry about if you don’t get adequate calcium. Calcium also plays vital roles in cell, nerve, hormone, blood and muscle functions. How do you get enough? Including as many calcium-rich foods in your daily diet will provide your body with the base it needs to stay healthy and strong. However, if you are already experiencing bone loss, supplementing with a clinically proven calcium supplement will be beneficial to make up for any shortfall from your diet. In fact, the Standard American Diet (SAD) only provides about 300–600 mg of calcium per day, which is a gross cry from the recommended 1,200 mg per day of calcium for women 51 years old and older. So ensuring you’re getting enough calcium every day from all sources is crucial. So, discover what foods you’re missing out on! This complete guide offers everything you need to know about the top sources of calcium from animals and plants including dairy, fish, leafy vegetables, legumes, nuts, and seeds. The list is provided in order from the best choices — and it may surprise you. Bonus: We’ve got a free, printable calcium-rich foods shopping list for you towards the bottom of the page! If you have a sensitivity to milk and dairy or simply choose not to incorporate it into your diet, that’s ok! There are plenty of plant-based options available to you (an animal-based list is found further down the post). * Calcium Fortified: Unfortunately, you can’t rely on juices and milks fortified with calcium. Are Calcium Fortified Beverages a Good Source of Supplemental Calcium? ** Soy: There has been some confusion about soy and its effects on health. To clear up that confusion, see “5 Myths About Soy You Probably Still Believe” and “Soy Helps Prevent Bone Loss“. One of the biggest health secrets of the sea is a little known South American algae called Lithothamnion superpositum (or Algas calcareas as the locals call it). It may not be a food source you’re familiar with, but this marine algae that we call “AlgaeCal” is so calcium-dense that it tops the charts for calcium foods! This small ocean plant is milled into a nutritious whole-food powder that offers your entire daily supplemental calcium needs in four capsules. AlgaeCal naturally contains not just plant-based calcium, but magnesium, zinc, boron, vanadium, and other bone-supporting minerals. In fact, it contains all 13 of the necessary minerals for bone building in proper amounts to work synergistically together. This may be why its unsurpassed clinical results have the research community baffled. Tests show it is even better absorbed by our bodies than the common foods in the list shown here. Research proves that it not only increases intake of easily absorbed calcium, but it can boost your bone density. 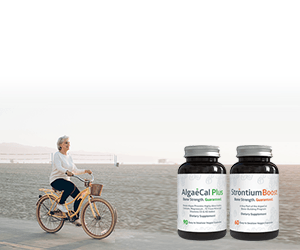 In fact, clinical studies show 80-year-old women increasing bone density with this marine algae… in just six months! Blackstrap Molasses, 400 mg/2 tbsp. Blackstrap molasses is made from boiling sugar cane syrup. Essentially, it’s a concentrated byproduct of making white sugar. It’s also where all the nutritional value is. Blackstrap molasses is darker and richer in flavor than regular molasses. It also boasts an impressive 400 mg of calcium for every two tablespoons and offers the optimum calcium-magnesium ratio to help with calcium absorption. It also provides copper, an important mineral for hair growth. Unlike sugar, blackstrap molasses has a moderate glycemic index so may be better for diabetics. It can also soften stools and increases regularity. Not to mention, it’s a flavorful addition to many dishes, from gingerbread to baked beans. 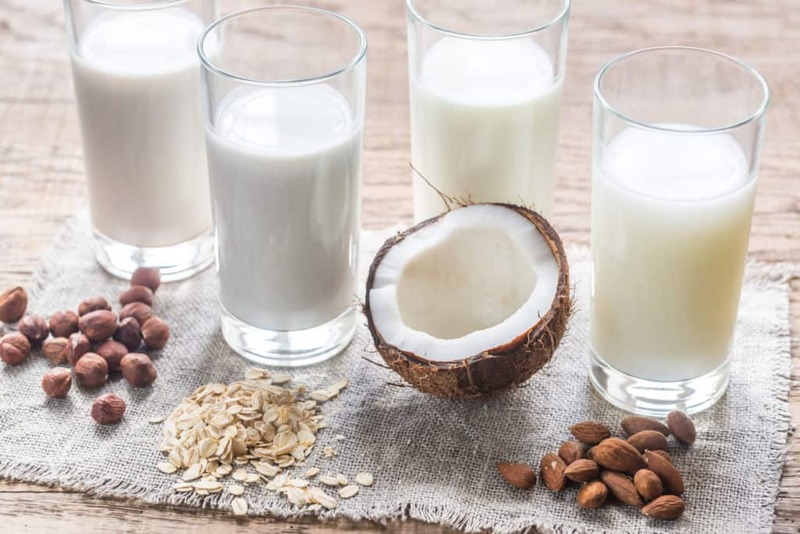 Non-dairy milks — sometimes branded as “mylk” — can be made from almonds, cashews, coconuts, hazelnuts, hemp, oats, and rice. While they are a great tasting alternative for anyone looking to cut out dairy products, they may not pack the same nutritional punch as traditional dairy. In terms of nutritional value, a recent study found that plant-based beverages vary widely and are not an adequate protein or calcium alternative. Whole nuts (almonds, cashews) lose most of their protein and calcium during processing, both by being diluted with water and having the pulp removed. That being said, many non-dairy milks are still high in nutrients thanks to being fortified during the manufacturing process. Bone Health Expert Lara Pizzorno, author of Your Bones, weighs in on the subject in her video and blog post: Calcium Fortified Beverages: A Good Source of Supplemental Calcium? More than 90% of soy is genetically modified in the United States. If you include soy products in your diet, make sure they are organic as this means it will also be non-GMO (non-genetically modified organisms). Soy milk is a great option for people who are lactose intolerant. It is made by soaking dried soybeans, grinding them in water, boiling the mixture, and filtering out the gritty residue to leave a milk-like substance. Soy milk contains very little calcium naturally, but some brands contain 300 mg (30% RDI) of calcium per cup because the manufacturer fortifies it with calcium citrate and calcium carbonate. This milk substitute has lost some of its trend appeal in favor of nut milk, but is still a nutritious alternative. Rice milk is a naturally sweet alternative to cow’s milk. Rice milk is made by blending partially milled rice with water. And during this process, the carbohydrates in the rice break down into sugars. That’s where the sweetness comes from! A cup of rice milk provides 283 mg of calcium. You may recognize this next one from baked classics like the lemon poppy seed muffin and the everything bagel. That’s right, we’re talking about poppy seeds. These little seeds have a penchant for getting stuck in your teeth, but add a delightful crunch and texture to baked goods — both as a main player and as a garnish. And these little specs are surprisingly high in calcium. Just one tablespoon will net you 13% of your daily recommended intake of calcium. One thing to keep in mind is the poppy seed’s connection to opiates. While most of the seed’s opiate content is destroyed during cooking, it’s recommended people consume no more than one teaspoon for every seven pounds of body weight. Just to be safe! Sesame seeds may be the oldest condiment known to man, tracing all the way back to ancient Egypt. “Open sesame,” a famous phrase coined in the Ali Baba story from One Thousand and One Nights, describes the sesame seed pod that bursts open when it reaches maturity. Sesame seeds contain a whopping 88 mg of calcium in a single tablespoon. They’re also a source of other minerals, including copper, iron, and manganese. Sesame seeds are commonly found in tahini, hummus, salad dressings, Sesame Snaps, and of course, sprinkled on white bread. Sesame seed oil is a pantry staple because it’s exceptionally resistant to rancidity. 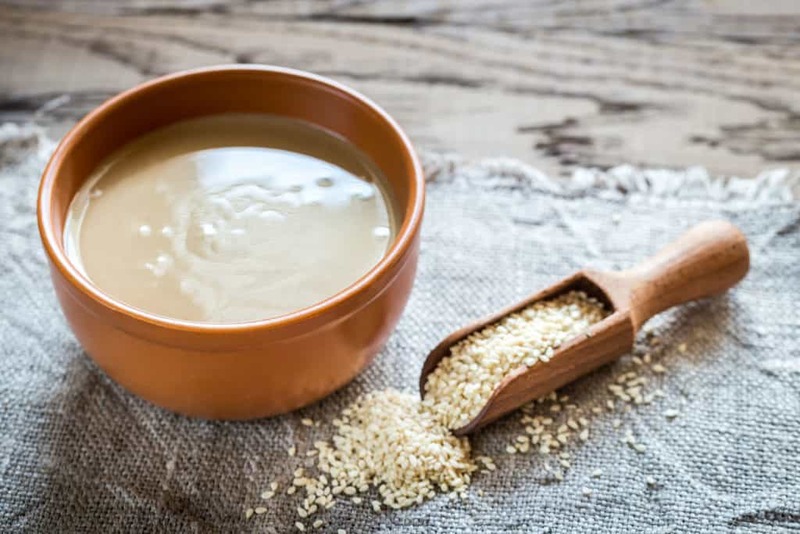 Sesame seeds may also help lower blood pressure and reduce inflammation due to their lignans and antioxidants, and is a source of fiber when unhulled. *Sesame allergies are on the rise, so if this is a new ingredient for you, caution is advised. They may not look like much, but chia seeds are a real nutrient powerhouse! The chia seed comes from the Salvia hispanica, a flowering plant in the mint family that’s native to Central America. Chia seeds are high in dietary fiber, calcium, and manganese among other nutrients. Plus, they’re absolutely delicious! The seeds are pretty small to begin with, but when you place them in a liquid they expand and take on a gel-like quality. Some people compare the texture of chia once they’ve expanded to tapioca. If you want to try chia seeds but aren’t sure how to utilize them in the kitchen, try our bone-healthy mango and chia pudding. Healthy has never tasted so good! Tahini is a spread made from toasted sesame seeds. It’s a rich addition to North African, Greek, and Middle Eastern food. Even if you haven’t used it in cooking, you’ve probably eaten it in hummus, baba ganoush, or tahini-based salad dressings. It is high in healthy fat and high in calories, but loaded with protein. And just two tablespoons gives you 128 mg of calcium in addition to thiamin, magnesium, and iron. Grabbing a small handful of almonds every day will net great benefits: healthy fats (especially when raw), protein, magnesium, and, yes, calcium. Of all nuts, almonds are the highest in calcium. Almonds have been called the most nutritionally dense nut, but are still low in calories. The nut that keeps on giving, almonds also contain lots of potassium, vitamin E, and fiber. Although almonds originated in the Middle East, California’s almond groves are now the largest managed pollination event in the world, with almost one million hives (half of all US beehives) brought there in February to pollinate trees to produce almonds. Consider making your own fresh almond milk, or grind your own butter. It’s surprisingly easy and delightfully tasty! Just check out our post on How to Make Your Own Nut Butter. Almond butter has the nutritional edge over peanut butter in terms of vitamins and minerals. Per serving, it provides more than double the vitamin E, more calcium, and more magnesium. A tablespoon of almond butter delivers 56 mg of calcium and 45 mg of magnesium. That’s more than 10% of your daily needs. 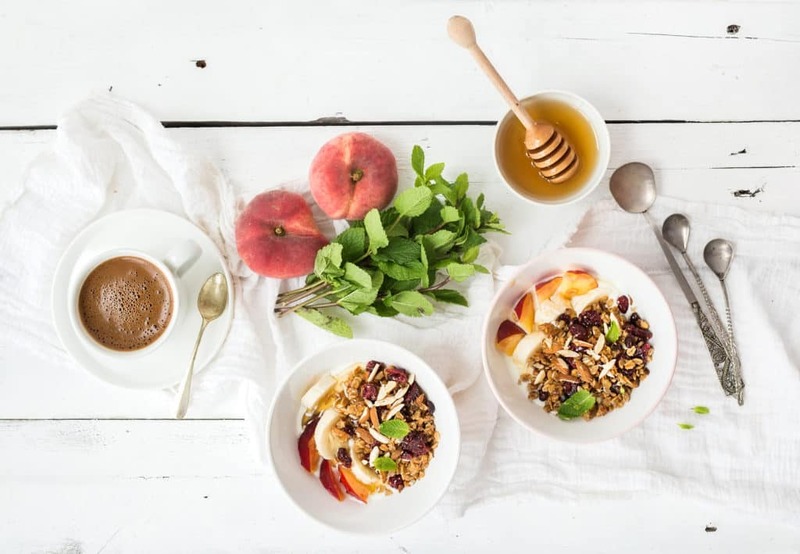 To discover more nutritional information about almonds, plus some amazing health benefits and recipe ideas, check out our designated almond page. Kale is more than a colorful substitute for lettuce. It’s a nutrient-rich superfood! 100 g of kale provides a substantial 254 mg of calcium! Plus, kale is chock-full of vitamin C and is also one of the best food sources of vitamin K1, which is important for blood clotting. Vitamin K1 differs from vitamin K2, which is known for its ability to activate proteins in the body. K2 is found in fermented soy products and some animal products and has been shown to crucial for bone health and osteoporosis. If you find kale bitter and fibrous when raw, try baby kale for salads and smoothies and stick to sautéeing or grilling for curly or dinosaur kale. As a bonus, kale’s calcium is not damaged by cooking. In fact, heating releases more calcium, which is held back by the presence of oxalic acid. 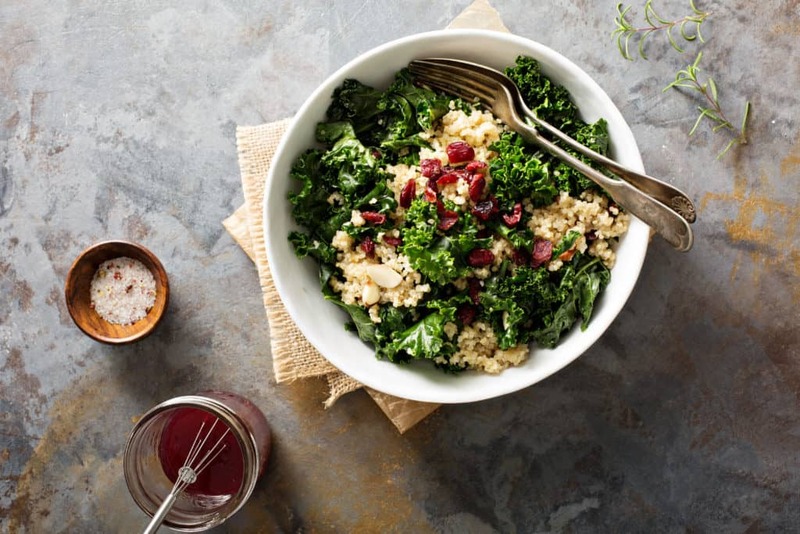 Click here to discover more about the calcium in kale, as well as some amazing health benefits! Cooked collard greens serve up a substantial amount of your daily calcium needs in a single cup. Although this southern cooking staple is traditionally cooked with not-so-healthy amounts of butter and bacon, collard greens also taste great sautéed with a little olive oil and garlic. 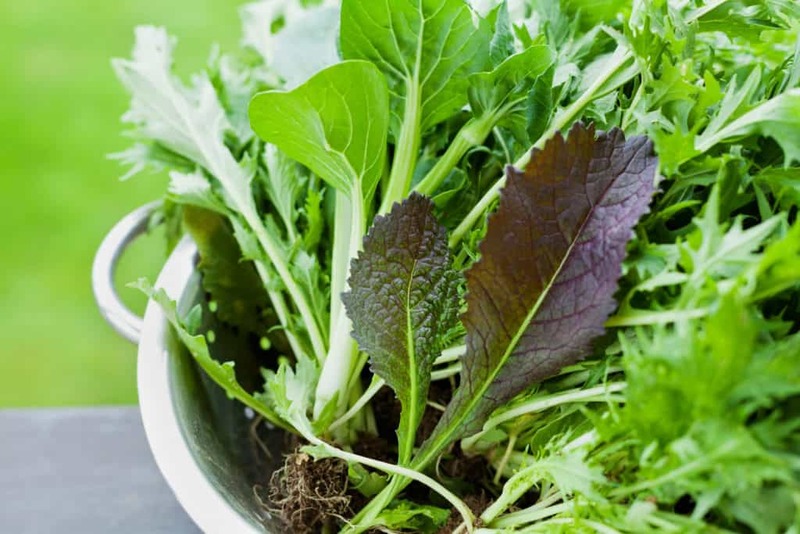 Steam your greens until they’re soft but still bright to keep from losing nutrients in the cooking process. This will also help prevent the unpleasant sulfur smell that comes along with overcooking. While you may not want to smell sulfur, it’s good to eat! Thanks to its sulfur compounds, collard greens may actually your risk of cancer. It’s antioxidant properties in the form of alpha-lipoic acid also helps liver function. Certainly lesser-known than many other grains, amaranth is a highly underappreciated super grain. Originally cultivated hundreds of years ago by the Aztecs, amaranth is a delicious gluten-free grain that’s brimming with protein and fiber. It also boasts impressive rates of vitamin B6, calcium, iron, magnesium, phosphorus, and manganese. Amaranth can be served as a whole grain or ground into a gluten-free flour. Its leaves are also edible and can be eaten like any other dark, leafy green. You may have eaten the root, but have you ever eaten the leaves of turnips? Like other dark leafy vegetables, turnip greens are an excellent source of vitamin K1, beta-carotene, vitamin C, and calcium. While it may not get the same kind of press as other cruciferous greens like kale and broccoli, turnip greens actually max out the Aggregate Nutrient Density Index (ANDI) scale with 1,000 points. The ANDI scale measures the nutrients and disease-fighting potential of foods. From turnip-green pesto to spicy pan-fried greens, there are dozens of recipes for them on the internet. And with 42 mg of natural salt for every cup of turnip greens, they practically season themselves! Tofu, or bean curd, is made by curdling and coagulating heated soy milk and then pressing the curds into spongy blocks. It’s not only popular in Asian dishes, but also in West African cuisine. It was first made in China in 300 BCE. Processing affects the calcium content considerably. Many brands are made using calcium sulfate as a coagulant (sometimes referred to as calcium-set tofu) which increases the calcium content. Calcium-set tofu contains up to 350 mg of calcium per 100 g serving compared to 176 mg of calcium in traditional tofu. 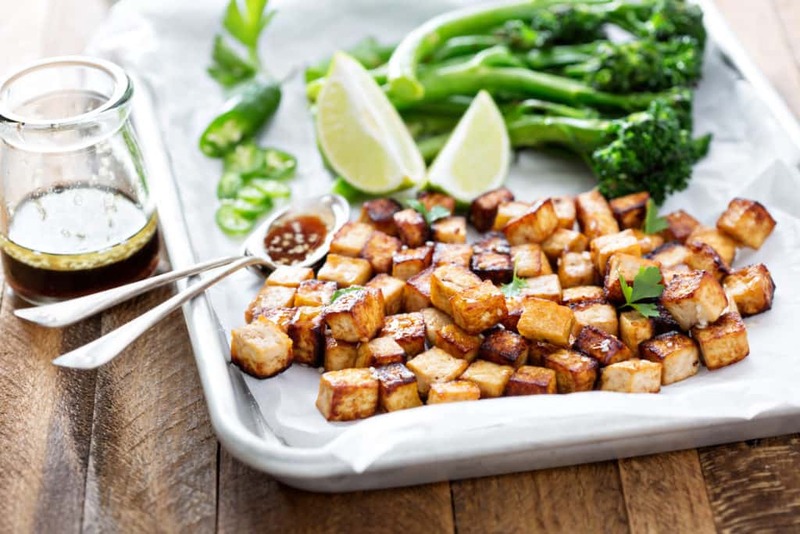 Tofu is an incredibly versatile product and is able to take on flavors of other ingredients when cooking or marinating. It also comes in a variety of textures so it can be used in anything from soups and desserts to dinner entrees. Check out our dedicated “Calcium in Tofu” page for more nutritional information and some great recipe ideas! Originally hailing from western Asia and the Middle East, dried figs have been enjoyed as a sweet treat for centuries. On top of being a source of calcium, figs are rich in fiber and potassium. Thanks to all that potassium, figs have been proven beneficial in helping to lower high blood pressure. Figs can be enjoyed in sweet or savory dishes, and make a beautiful addition to any charcuterie plate. Check out our “Figs and Calcium” page for more nutritional information about figs, and a fascinating fact to impress your friends with! Edamame are immature soybeans in the pod, and are among the few non-animal foods that are said to be a complete protein. That means edamame beans contains all nine essential amino acids that the body needs, just like meat does. You’ll get 261 mg of calcium in every cup of edamame. Soybeans are also rich in fiber with approximately eight grams in every cup. They’re best eaten lightly steamed with a little salt. But don’t eat the pod though, just the beans inside. Soy yogurt manufacturers add live bacterial cultures to a base made from soybeans and blend the mixture with water and sugar. They use bacteria grown on milk protein or on a vegetable medium to produce soy yogurt. Comparing dairy yogurt to soy, both provide protein and calcium. A serving of plain soy yogurt contains 6 g protein — about half as much as you’d get from traditional cow’s milk yogurt — and 40% RDI for calcium when soy is fortified with tricalcium phosphate or calcium carbonate. This is about the same amount of calcium that is naturally occurring in a cup of whole fat milk. Mustard greens are often added to gourmet salad blends, offering a natural spiciness to other raw greens. They can also be sautéed, and the spiciness can be reduced by adding vinegar or lemon juice to the pan. Like all leafy greens, mustard greens contain a wide variety of potent anti-aging antioxidants and lots of detoxifying chlorophyll. A cup of cooked mustard greens also contains 165 mg of calcium and significant amounts of vitamin K1 and potassium. 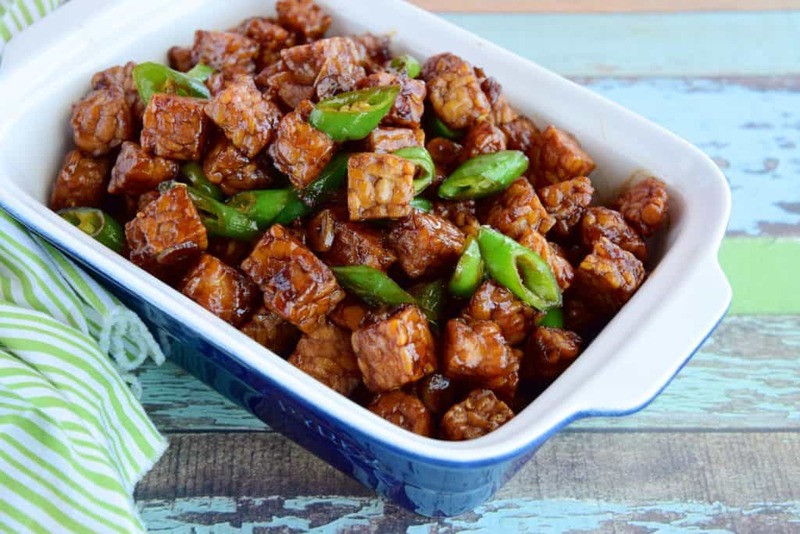 The unique way that tempeh is made from soybeans was passed from Indonesians to the Chinese way back in 1000 CE. Tempeh is a whole food made by fermenting cooked soybeans for several days with the help of mold (Rhizopus oligosporus). It’s chewy, brown, and has a slightly sweet, nutty flavor. It’s also firmer and less watery than unfermented tofu. Tempeh is highly nutritious, with more protein and fiber than tofu, and is less processed because it’s made using traditional methods. Tempeh is high in calcium (1 cup has 184 mg) and other minerals and is high in cancer-preventing isoflavones. The most important difference between tofu and tempeh is the fermentation process that breaks down the phytates, anti-nutrients found in soy. It makes soy proteins and minerals more digestible. A 2010 study showed that the calcium from tempeh is as well absorbed as calcium from cow’s milk. Despite its name, broccoli raab isn’t actually related to broccoli. Surprisingly, it’s closer to the turnip. If you’re unfamiliar with this particular vegetable, treat it like you would any bitter, leafy green — like mustard or turnip greens. This lesser-known, deceivingly-named vegetable is popular in Italian cuisine. On top of the 108 mg of calcium, you’ll get in every 100 g of raab, you’ll also get 34% of your daily recommended amount of vitamin C, 27% of your iron, and an astounding 187% of your vitamin K.
Bok choy or Chinese white cabbage is a cruciferous vegetable like Brussels sprouts and broccoli. It has been cultivated in China for thousands of years and ranks sixth on the ANDI scale. ANDI rates foods not only for vitamins and minerals but for antioxidants. A one-cup serving of cooked bok choy contains 158 mg of calcium and 631 mg of potassium. Other nutrients include zinc, copper, manganese, selenium, B vitamins, beta-carotene, and vitamin K. Stir-fry bok choy with olive oil, teriyaki sauce, and fresh garlic for a healthy side dish to a meal. Like our friend the chia seed, rhubarb has a little bit of almost everything. Vitamins B, C, and K, manganese, and of course, calcium, are just the tip of the nutritional iceberg. Where it really shines is in its natural sweetness when stewed or added to a pie, and it’s high fiber content. Rhubarb’s vitamin K and calcium content is great for bone health and preventing osteoporosis. Looks like a slice of pie could be better for you than you thought! Although Asia, Ethiopia, and West Africa all claim to have introduced this calcium-rich flowering plant, its name derives from Nigeria. It’s also known as ladies’ fingers, bhindi, and bamia, but it is most famous in North America in Cajun and Creole cooking. Roast, sautée, or grill to bring out the flavor and preserve the texture. Boiling can make okra slimy and unpleasant. Okra is a nightshade vegetable, like eggplant and potato, in addition to being an edible flowering hibiscus. 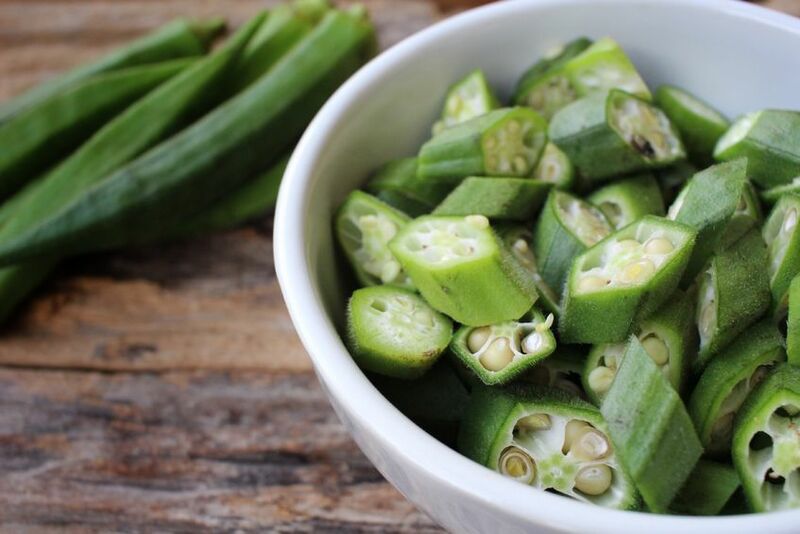 Okra has numerous health benefits, and much of its nutrition is in its soluble fiber. In addition to having calcium, it’s high in vitamin B6, folate, and potassium. It has been studied especially for its heart health benefits due to its fiber and pectin. A generous serving of this camping favorite could pack as much as 62 mg of calcium! And you thought it was just comfort food. Most beans are high in calcium, but if you want to boost your baked beans recipe, use white beans (120 mg calcium per cup) or navy beans (126 mg calcium per cup). Navy beans are a type of kidney bean also known as Yankee bean, named because it was an important source of food to the Navy during the 19th century. Navy beans are also a good source of fiber, which aids elimination, lowers blood cholesterol, and may improve heart health. 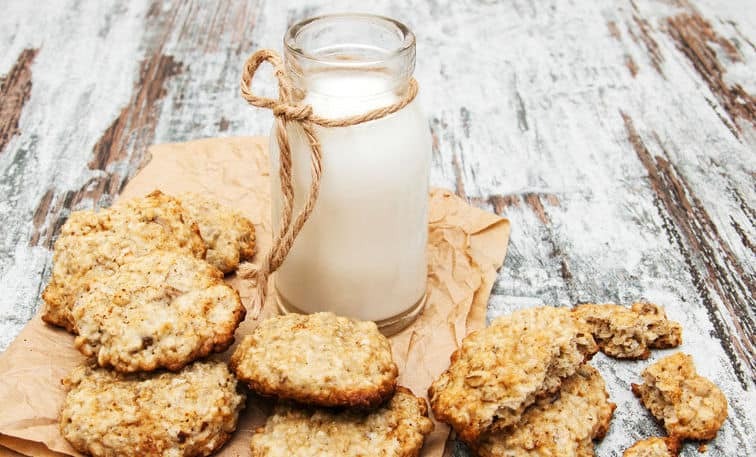 A bowl of warm oatmeal with brown sugar and cream has been a breakfast classic for generations, but did you know this simple meal is packed with whole grain nutrients? Manganese, selenium, iron, and a ton of fiber are rounded out with a healthy dose of bone-friendly calcium. Rolled oats are much higher in lipids than other cereal grains. Lipids are an excellent source of energy and unsaturated fatty acids. The vitamin E content in oats is also hugely important because of the antioxidant’s ability to destroy free radicals that can lead to cancer, arthritis, and cataracts. While it may not be your kids’ favorite side dish, broccoli goes head to head with dairy products for the amount of calcium per serving. A cup of chopped broccoli provides 43 mg of calcium. This cruciferous vegetable is famous for its immune-boosting, anti-inflammatory, and cancer-preventing properties. Have you heard about roasted broccoli florets? Similar to the culinary favorite roasted cauliflower, you can roast broccoli for an intensely sweet flavor. Toss chopped florets in olive oil and sprinkle with salt, pepper, and minced garlic, and roast at 375 degrees, turning once or twice so they don’t burn. Click here for more information about the calcium content of broccoli and some amazing health benefits too. Quinoa is a traditional food of South American indigenous peoples and has been used medicinally to treat wounds and to promote digestion. 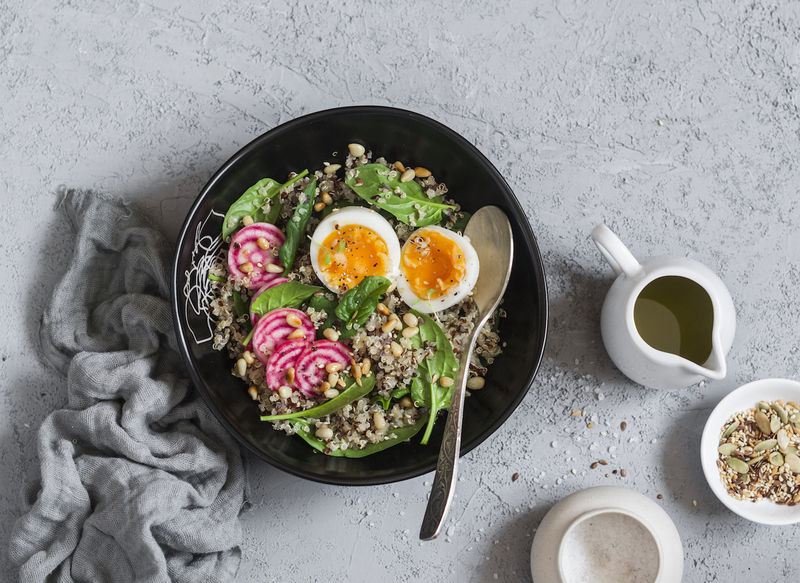 Nowadays, quinoa is better known as a super grain that’s packed with amino acids, fiber, calcium, and a dozen other vitamins and minerals. Quinoa can be prepared as a rice-style grain, puffed into a cereal, baked into bread and muffins, and even used as a bean or barley substitute in soups. It may be hard to pronounce, but it’s easy to find a place for it in your pantry! Cannellini beans are a variant of the white kidney bean. They’re bigger than your average kidney bean and are largely valued for their fiber and protein content. Cannellini beans are also the star of our 10-minute white bean, spinach, and parmesan soup. These high fiber legumes have also been linked to a reduced risk of heart disease, so you can enjoy a side of good health with your soup! Did you know there are three types of bean, in particular, that offer a large amount of calcium? Discover them all on our “Calcium-Rich Beans” page. The saying really should have been “an orange a day keeps the doctor away.” With a single orange being able to provide upwards of 200% of your daily vitamin C requirement, this simple little fruit is packed with nutrients. Vitamin C’s antioxidant properties mean this fruit will work to protect you against cell-damaging free radicals. Citrus fruits have also been linked with helping prevent certain cancers and cardiovascular disease. Oranges are also a great source of calcium and iron, and juice concentrates are often fortified with additional calcium to give you even more bang for your buck. Humans have been eating dairy products for over 7,000 years. Dairy foods — milk, cheese, yogurt, butter, whey protein — have been promoted by governments for their calcium content since the 1940s. Canada’s Food Guide and the US’s Food Pyramid emphasize dairy as an entire food group partly for this reason. How much calcium can you get from dairy and other animal-based products? Take a look at the list below (from highest to lowest in calcium). 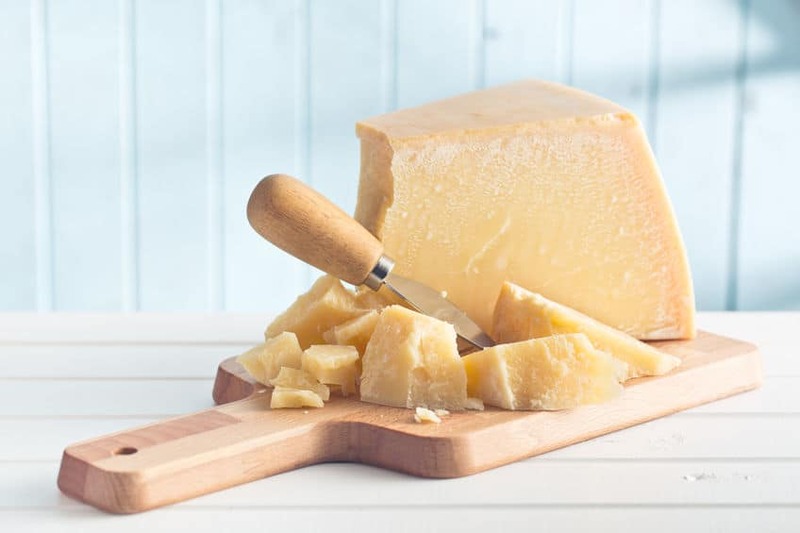 Parmigiano-Reggiano or Parmesan cheese is a hard, granular cheese with strong flavor. Even though the name “Parmesan” is often used generically for various brands, it’s actually against the law in Europe to use the name if the cheese isn’t made in specific areas of Italy. Think of it as the Champagne of cheeses. This cheese hasn’t changed in taste or appearance since before the 13th century. True Parmesan may have the most calcium of all cheeses, but the amount eaten is often less since it’s traditionally sprinkled on foods like pasta. Even though it is higher in fat and calories than many other types cheese, studies show that it might lower heart disease risks. “Swiss” cheese is a generic name for medium-hard cheeses made in North America that look like Emmental cheese. Emmental cheese was originally produced in, you guessed it, Emmental, Switzerland, and is known for its mild, slightly nutty flavor. Some types of Emmental have holes throughout which are known as “eyes.” Other Swiss cheeses, like Norwegian Jarlsberg, don’t have eyes. Every one-ounce slice of Swiss cheese has 250–300 mg of calcium per ounce and are suitable for people with a dairy intolerance due to their low levels of lactose. Whey is the liquid left behind from milk after cheese curds have been formed. The whey itself — mostly a combination of protein, lactose, and minerals — is removed from the liquid and dried into a powder. Fitness enthusiasts taking whey protein isolate — the purest form of protein available at concentrations of 90% or higher — have an exceptional calcium source. A single one-ounce scoop can contain around 200 mg of calcium. Whey protein is extremely portable and comes in a variety of flavors for added appeal. American cheese, or the bright orange slices you grew up eating in grilled cheeses, is processed cheese made from a blend of milk, milk fats and solids, and whey protein concentrates. It used to be made from a mixture of cheeses, but has become increasingly processed over time. Despite this, one slice still offers 100 mg of calcium. Before slices were invented, block American cheese was the only type available and was therefore considered “traditional” American cheese. American cheese has a higher fat and sodium content, but is listed as a “good source” of protein. Sardines deliver more calcium per serving than virtually any other food! A typical can of bone-in sardines gives you 382 mg of calcium in one serving. The canning process softens the bones so they’re easily absorbed and won’t feel crunchy in your mouth. Many brands of sardines and salmon now offer boneless options, which significantly less calcium than the varieties with bones left in. So, make sure to read labels before buying. These fish also boast high amounts of vitamin D to help you absorb calcium. Smaller fish like sardines have low mercury levels, and sardines contain selenium, an antioxidant that can prevent and reverse mercury toxicity. Milk has long been regarded as one of the cheapest and most convenient sources of calcium. A cup of cow’s milk contains about 300 mg of calcium, no matter if it’s whole, 2%, 1%, or skim. So long as you’re not lactose intolerant, milk’s calcium is easily absorbed and can be drunk on its own or incorporated into other foods, like smoothies or cereal. Goat’s milk has a whopping 300 mg calcium per cup and is an excellent, more readily tolerated alternative to cow’s milk. This is because goats only have one stomach like humans — our bovine friends have four — and don’t need to grow to the size of a 550 lb. calf before weaning. This puts goat milk macronutrients on par with human milk. We’ve mentioned a few different milk types now. To discover the nutritional information of each in more detail, plus the pros and cons of each, visit our “How Much Calcium is in Milk?” page. Sockeye was the first fish to be commercially harvested from the Pacific Ocean with large-scale canning beginning in the 1870s. Sockeye has remained popular for nearly 150 years because of their vibrant color, intense flavor, and rich omega 3 fatty acid content. Canned salmon is incredibly versatile and can be baked, pan-fried, or grilled as patties, and even added to soups! Luxuriously smooth and tangy, yogurt is an excellent source of calcium. One cup of plain yogurt contains 350 mg of calcium. Low-fat yogurt contains 300 mg per cup and Greek style has been gaining popularity for its protein content, but also delivers about 400 mg of calcium per cup. Yogurt contains vitamins B2 and B12, phosphorus, and potassium. One study linked eating yogurt to lower risks of type 2 diabetes and heart disease. Get creative by using yogurt in salad dressings, dips, and baking. *Specialty yogurts offer live beneficial bacteria, but many commercial varieties now have little good bacteria left after processing. Check the label or ask the manufacturer to be sure! Cottage cheese is an unripened cheese curd that’s washed to remove acidity, giving it a sweet flavor. It’s high calcium, with approximately 100 mg per ½ cup, in addition to 13 g of protein and a good dose of vitamin B12. It’s a popular low-fat protein addition to meals, yet the salt in cottage cheese might work against some benefits. According to one study, cottage cheese’s sodium content could counterbalance the positive effects of calcium on blood pressure, although salt-free options are available. While chicken feet are best known in Chinese cuisine, this particular calcium source is popular in countries ranging from Brazil and Cambodia to Russia and South Africa. Unlike the rest of the chicken, the feet are gelatinous and made up mostly of skin and tendons. Eating chicken feet can be a tedious task and seem unappealing for the uninitiated, but for many, these boney treats are a delicious source of protein. In addition to their high calcium count, chicken feet are also a great source of phosphorus, copper, iron, and zinc. Mackerel is a smaller fish, not unlike a streamlined tuna. They’re commonly found in Atlantic waters and are a popular fish across North America. Mackerel can be enjoyed fresh or frozen, and can often be found smoked and salted to preserve its shelf-life. Mackerel is considered to be an oily fish, so while it’s not great for grilling, it is packed with omega 3s which are great at reducing inflammation. 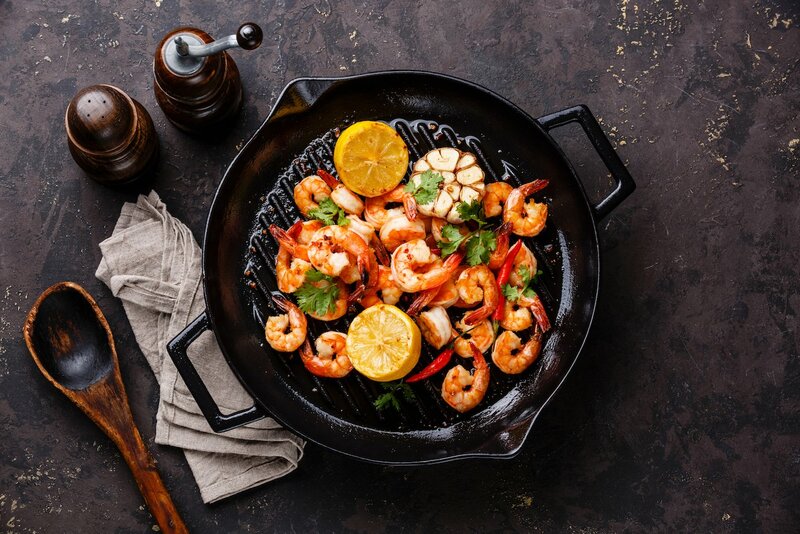 While they are distinctly different species, shrimp and prawns have become more or less interchangeable by name in North America, particularly when it comes to food. Both are high in protein and low in calories, and are great sources of selenium and vitamin B12. Shrimp and prawns account for 30% of the shellfish eaten in the US, beating out both salmon and tuna for top spot. That works out to roughly four to five pounds of shrimp for every American. This French delicacy isn’t without controversy, but foie gras can be a great source of nutrients. Originally made from goose, liver pate dates back more than 4,600 years ago to ancient Egypt. The same force-feeding method (known as gavage) is still used today. Goose liver is a good source of calcium and is incredibly high in vitamin B12. In just 100 g of pate, you’ll get more than 150% of your daily requirement of B12. However, its high saturated fat content makes this best served as an occasional treat. How can you go wrong with eggs?! Name a dish and you can probably work an egg into it. Eggs are so incredibly versatile that they play an integral role in breakfast, lunch, dinner, and dessert. They’re the greatest workhorse your fridge has to offer. Eggs are a good source of calcium and a healthy helping of many other vitamins and minerals. They’re also a fantastic source of protein for vegetarians or anyone looking to cut back on their meat intake. Humans and orcas are both fans of this Pacific Ocean fish, and with good reason — it’s delicious! It’s also the largest species of salmon. Chinook goes by a variety of names, including Alaskan king, blackmouth, quinnat, spring, and chub, but anything over 30 lbs is known as “Tyee”. It lacks the nutritional potency of sockeye, but Chinook salmon is still high in calcium, selenium, vitamin B12, niacin, and many other vitamins and minerals. Asian carp, not to be mistaken with the relatively inedible common carp, is a umbrella name that includes bighead, grass, silver, and black carp. These fish have been eaten for thousands of years in Asia, and were introduced to North America as an invasive species in the 1970s. While problematic on an ecological level, carp are a rich source of calcium, vitamin B12, and phosphorus, and 100 g packs in nearly 1,000 IU of vitamin D.
Now you know which foods provide the most calcium. But that’s a lot of information to try to remember next time you’re at the grocery store! That’s why we’ve put it all together in a handy, printable PDF for you. Just click the button below to access it! The PDF below breaks down the top calcium-rich foods into various sources, including dairy, vegetables, and proteins. Print off the list and take it with you on your shopping trips to make sure you’re buying foods with plenty of bone-friendly calcium. Our PDF also offers tips on ingredients to avoid — all in the name of good bone health! P.S. You won’t find our number one calcium-rich food– algas calcareas marine algae –on our shopping list… because you won’t find it at the grocery store! 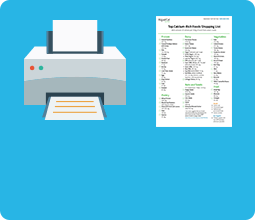 Scroll down below the PDF button though, and you’ll find even more information on algas calcareas, including where you can get it. Eating too few foods containing calcium is only one of the reasons that you may be deficient. Unfortunately, other factors, some beyond your control, can play a part. According to the Linus Pauling Institute, numerous factors impair calcium absorption or lower calcium levels in the blood. They include drugs such as proton pump inhibitors, chemotherapy and anti-seizure medications, chronic kidney disease, abnormal parathyroid function (due to neck/thyroid surgery or autoimmune disease), and bariatric or gastric bypass surgery. For more, check out our in-depth post on Drugs That Cause Osteoporosis. Lifestyle factors also reduce calcium in the body including high salt intake, getting too much phosphorus from soft drinks and food additives, and having vitamin D or magnesium deficiencies. How do you make up the shortfall? It may be difficult to eat enough absorbable calcium from foods alone if you have a fairly substantial deficiency. Therefore, a higher-dose supplement may be required at any age. In addition to calcium-containing foods, it’s important to reach your nutrient requirements for other bone-healthy vitamins and minerals such as magnesium, vitamin D3, K2, C, and trace minerals. Following a balanced, whole food diet is a great way to ensure your body is getting the basics. But to make up for any shortfall, add a clinically supported, whole food supplement.